Item # 310506 Stash Points: 2,799 (?) This is the number of points you get in The Zumiez Stash for purchasing this item. Stash points are redeemable for exclusive rewards only available to Zumiez Stash members. To redeem your points check out the rewards catalog on thestash.zumiez.com. Complete your look with the Forty Ninth Supply Co. The Dipper Brown and Navy Beanie. This tight knit accessory delivers a warm fit and features a woven Alaska flag patch displayed on the crown, a unique detail that is sure to set your look apart from the rest. 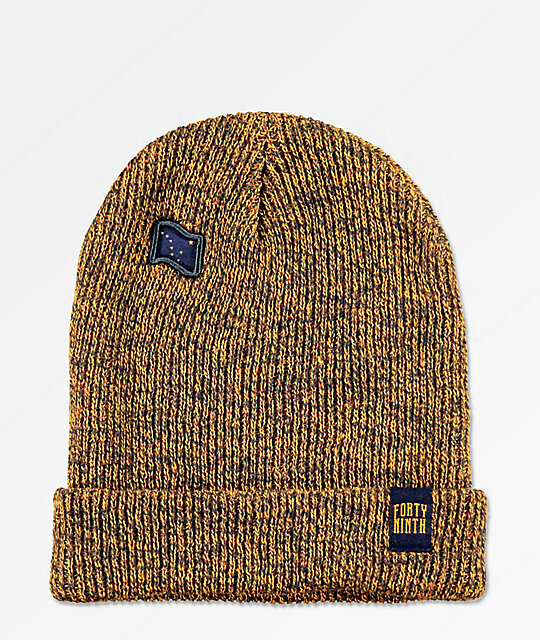 The Dipper Brown and Navy Beanie from Forty Ninth Supply Co.
Woven Alaska flag patch on crown.